• The grid, persistent guides, Quick Selection tool overlay, and selection outlines would be visible above the Rulers. Fixed. • It was not possible to resize the Import window when it should have been, and it was possible to resize the About and Preferences windows when it shouldn’t have been. Fixed. • Skewing, distorting, or changing the perspective of a layer group with differently sized layers would work incorrectly. Fixed. • After changing the ruler origin, the temporary indicator lines would not be cleared from the screen until something was clicked. Fixed. • Merging a layer group with a clipping mask inside it would turn the merged group into a clipping mask. Fixed. • Opening Photoshop documents with inner or outer glow layer styles would sometimes cause Pixelmator to quit unexpectedly. Fixed. Have any feedback about the update or Pixelmator in general? We'd love to hear it at support@pixelmator.com! 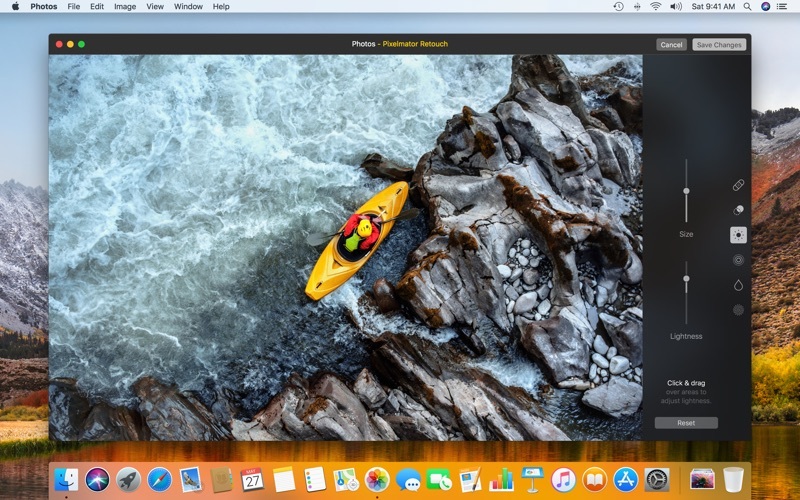 Pixelmator 3.7 Mount Whitney brings full support for macOS High Sierra, adds the ability to launch Pixelmator from the Photos app and save edits back to your original image, features support for importing HEIF images, and more. 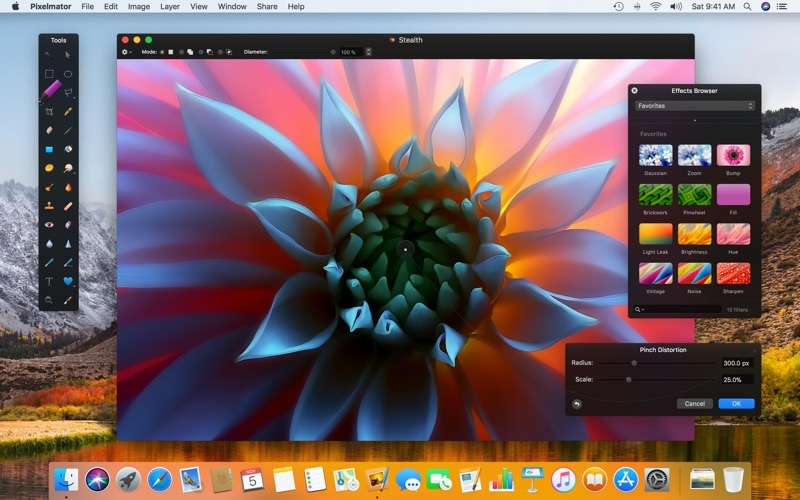 • Pixelmator is now fully compatible with macOS High Sierra. 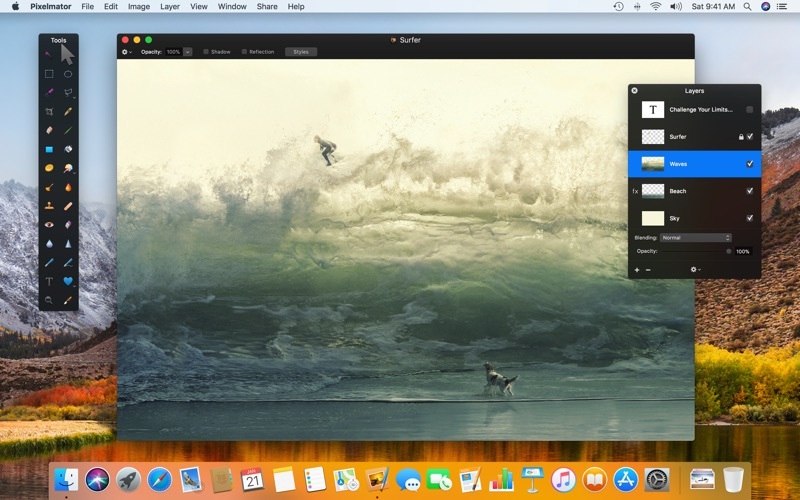 • Launch Pixelmator directly from Photos and save your edits back to the original image in your library. • Support for importing HEIF images. • Improvements to the Repair Tool algorithm make the Repair Tool faster and more accurate. 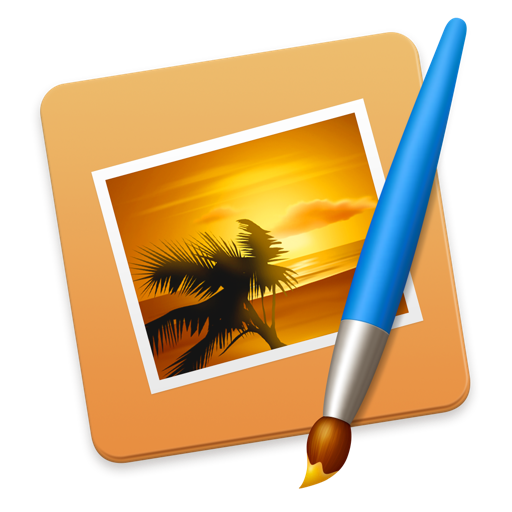 • The Pixelmator extensions for the Photos app would quit unexpectedly on certain newer Mac computers. Fixed. • The Quick Selection Tool’s live preview would appear in the lower left corner of the image. It’s back to where it should be. • The Pixelmator Change Type of Images Automator action would not convert files to PSD. Fixed. • Rulers would sometimes disappear when editing text. Fixed. • It was not possible to drag and drop images from Safari and Photos directly into Pixelmator documents. Drag and drop is back. 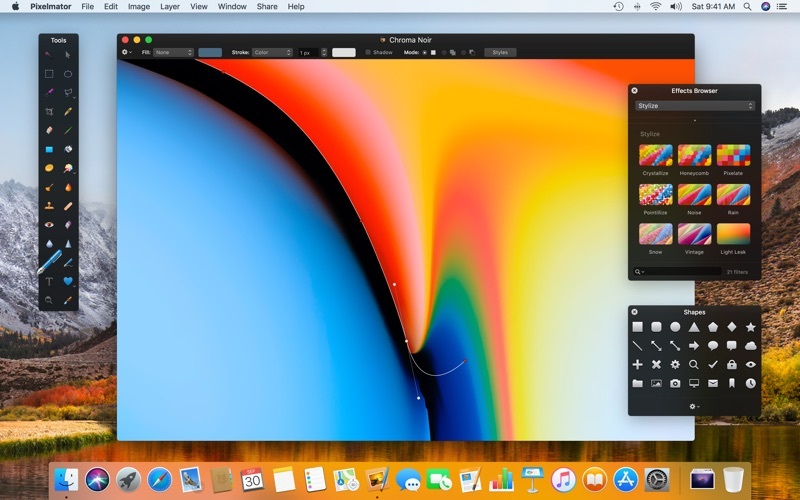 Pixelmator 3.6 Cordillera brings full support for macOS Sierra and the all-new MacBook Pro Touch Bar, adds Tabs, includes a content-aware Smart Refine feature, Deep Images support, and more. 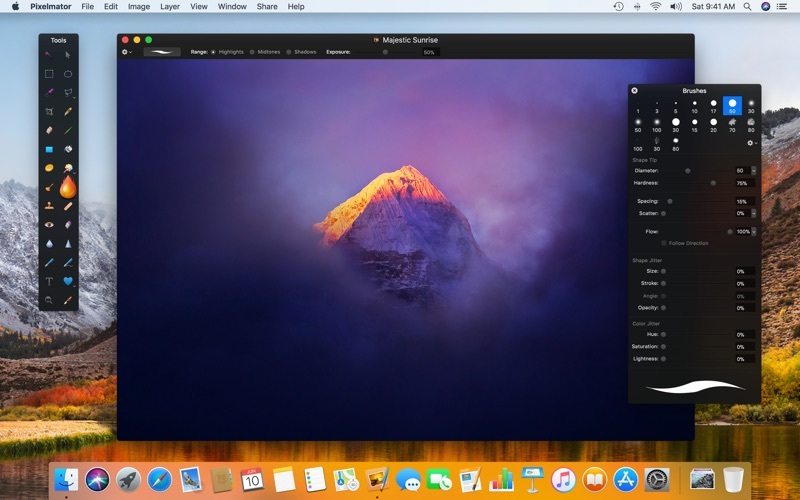 • Pixelmator is now fully compatible with macOS Sierra. • The Touch Bar keeps your favorite Pixelmator tools and the most useful options always at hand. • Use Tabs to easily manage your Pixelmator windows. • The new Smart Refine feature lets you instantly improve selections with stunning accuracy and speed. • Support for Deep Images makes colors in 16-bit images more vibrant and true-to-life on Wide Color displays. • Set the most useful tool options for your selected tool right in the Touch Bar. • The Touch Bar is customizable, so you can choose exactly which tools you’d like to keep in it. • Use the Touch Bar to change color, alignment, and other text properties. • When previewing effects or adjustments, a Show Original button lets you take a peek at the original image. • Use Rotate and Scale sliders to transform layers. • And do a lot more! • Quickly drag and drop layers between documents in different tabs. • Merge all your Pixelmator windows into a single one by choosing Window > Merge All Windows. • Close all tabs except the current one by Option-clicking the Close button of the tab you’re in. • New images open in a new tab according to your preferences in System Preferences > Dock – either Always, In Full Screen Only, or Manually. • If your tab preferences are set to In Full Screen Only or Manually, hold down the Option key when opening or creating new documents to open them in a new tab. • With support for the Universal Clipboard, you can now seamlessly copy images and text between Pixelmator on your Mac and iOS devices. • Precisely align windows and palettes by moving them close to each other. • Double-click the edge of a window to automatically expand that edge. • Using an advanced edge-detection algorithm, Smart Refine precisely snaps your existing selection to object edges in your image. • Customize just how edge-sensitive Smart Refine is using the Edge Detection slider in the Refine Selection dialog. • You can now edit your selection while the Refine Selection dialog is open – paint to subtract from your selection, hold down the Option key and paint to add to your selection. • Use the [ and ] keys to change the size of the selection brush. • With support for P3 color and Wide Color displays, all 16-bit images on the new MacBook Pro, iMac with Retina 4K display, and iMac with Retina 5K display look more vibrant and true to life. • 16-bit images also look better on standard displays, as dithering is applied to subtly smooth gradients and remove visible banding. • Dithering is also applied when reducing the color depth of an image from 16 bits to 8 bits. • The Quick Selection Tool now has a live preview. • It’s also much faster, thanks to a faster algorithm. • And it’s more accurate, too – especially with black and white images.